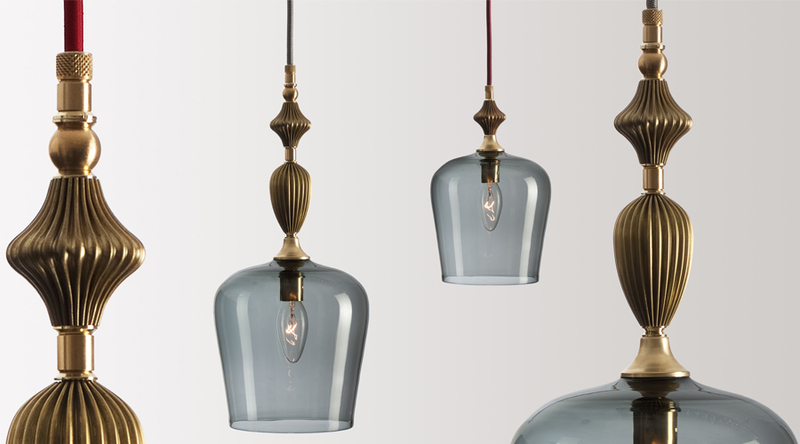 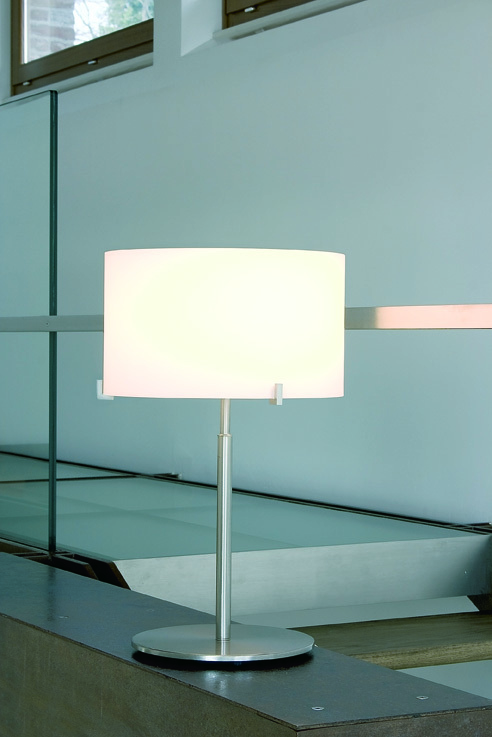 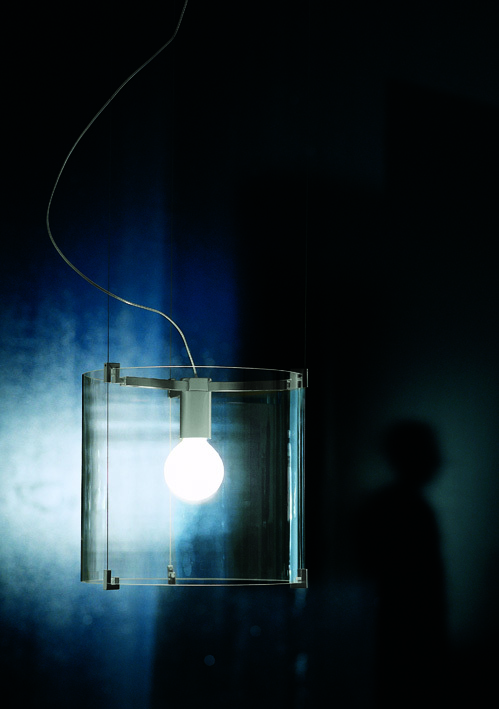 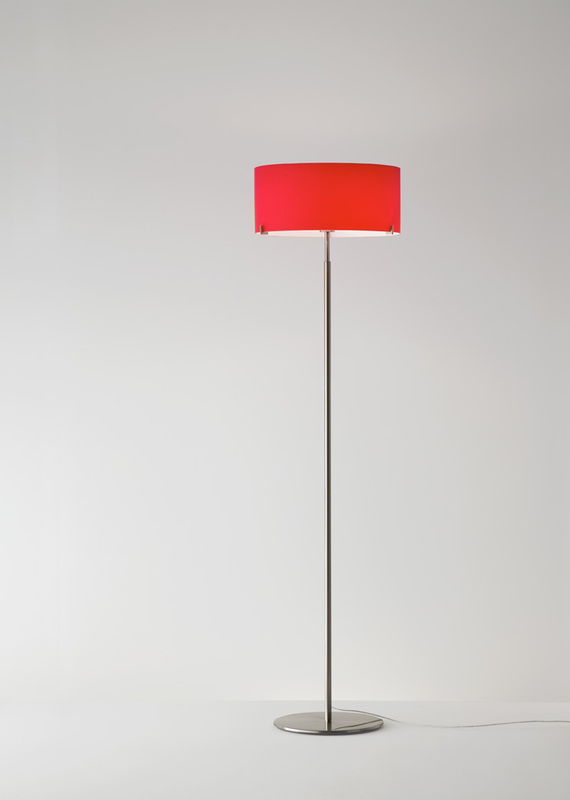 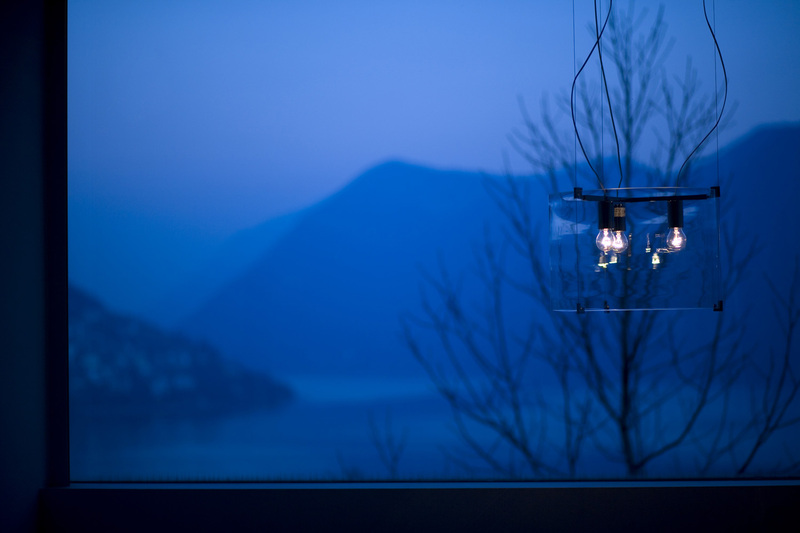 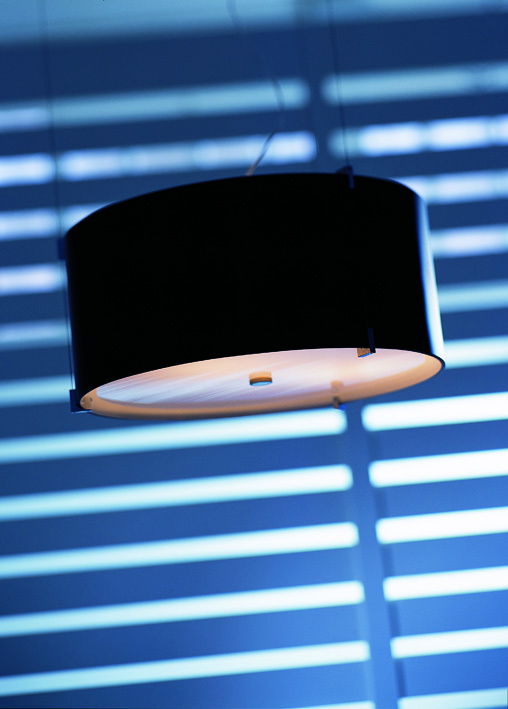 Suspended, floor or table lamp for diffused or direct lighting. 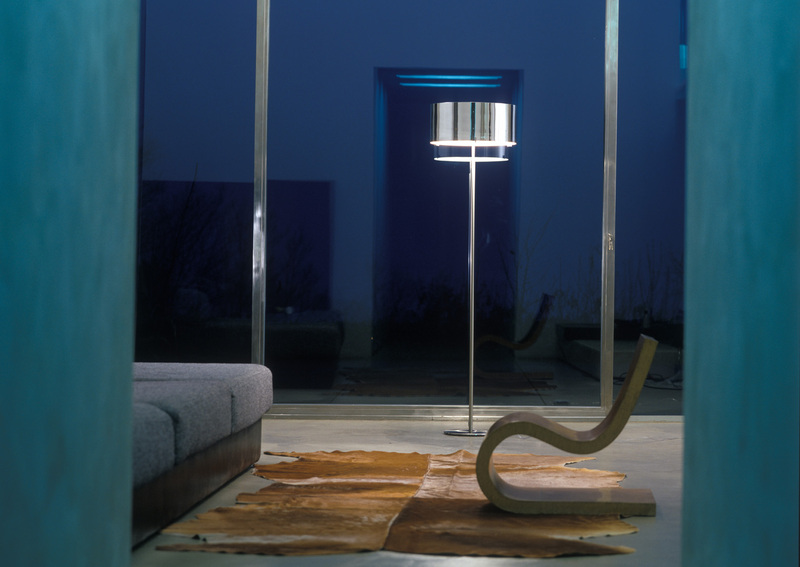 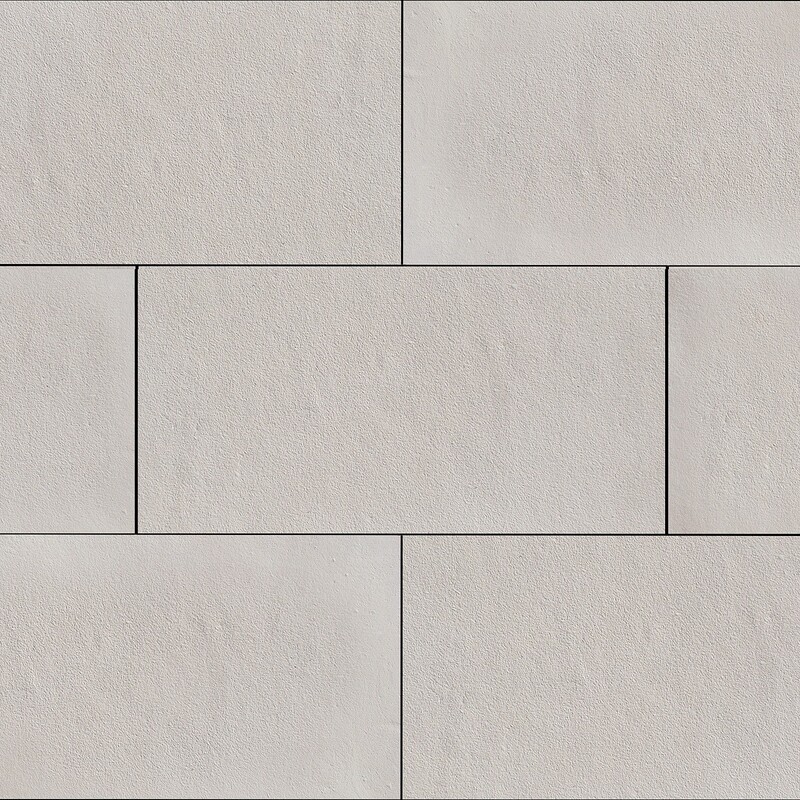 Materials: Chrome or brushed nickel plate metallic structure and ceiling rose. 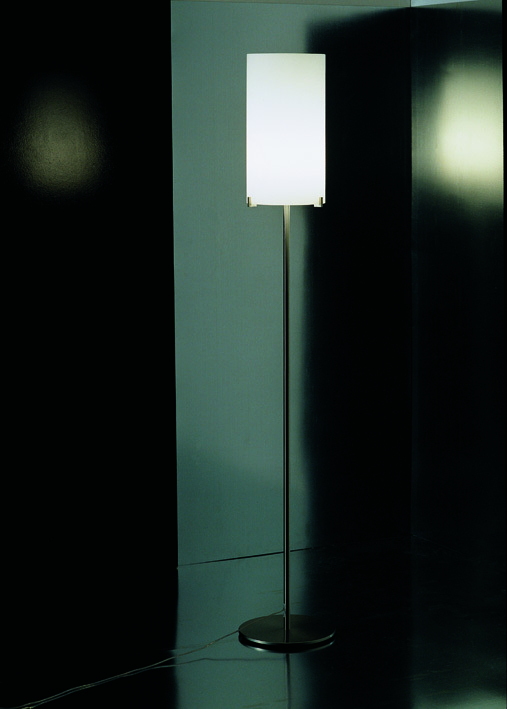 Satin opal white, bright grey or clear crystal blown glass diffuser.